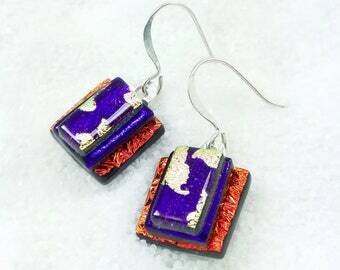 Fused dichroic glass earrings make the best gift! Make a statement with handmade dichroic earrings! All of my earrings are made from thin glass and because of that, they are VERY light on the ears! Fused glass artisan earrings done in the popular "Long-Silver" style. These are all lovingly handcrafted to be worn and cherished for years. You can even dress up your casual weekend wear, such as your favorite pair of jeans and top. They are very versatile for that jewelry lover in your life! Elegant ruby red dichroic glass fused with sparkly yellow, bright blue polka-dots, red and even tiny bits of silver! 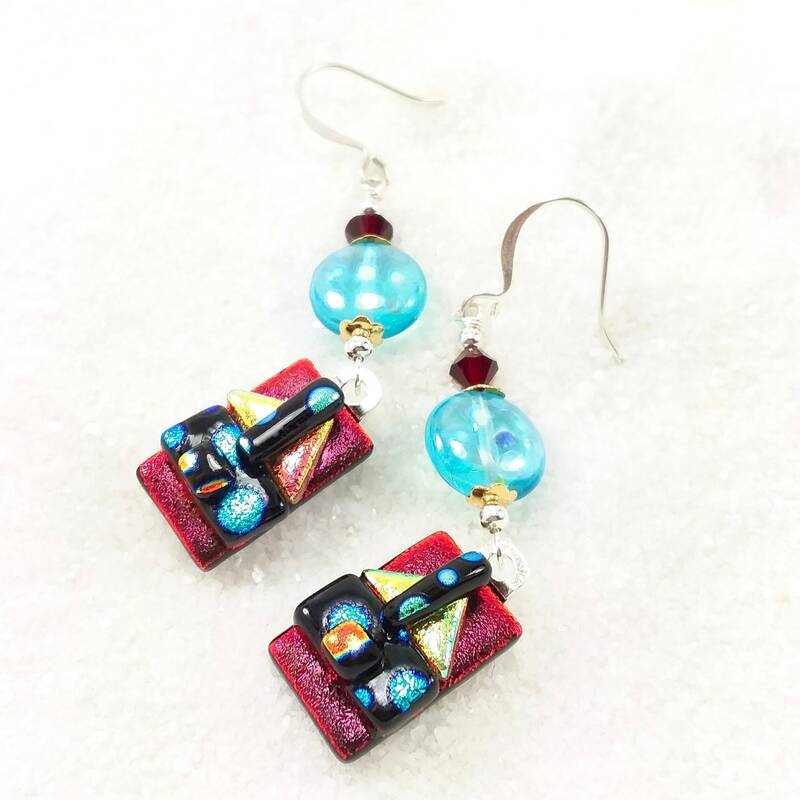 They dangle from complimenting aqua blue beads and ruby red Swarovski crystals. Set with silver plated bails & ear wires. The glass measures 3/8"w X 5/8"